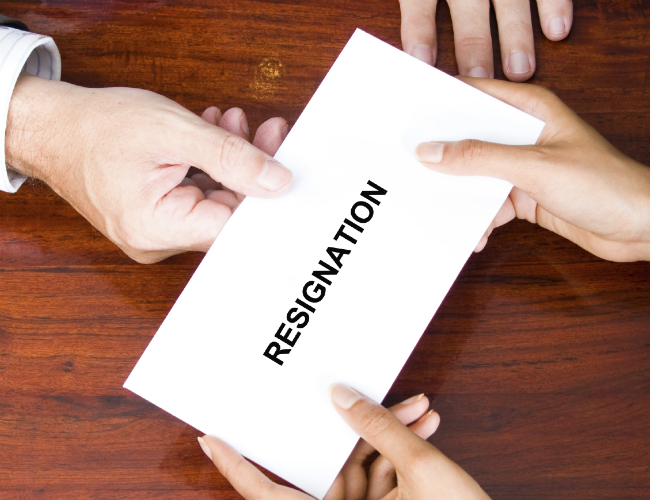 A job resignation letter is a formal letter written by an employee when he or she wishes to cease work with their current employer/organization. It is usually written to the one-up manager or Human Resource Department. Since it is a formal letter, make sure that you keep it extremely formal and professional. Moreover, try to remain as concise and to the point as possible. The names, addresses, dates, positions and scenario mentioned in this sample are completely fictitious; edit them according to your own requirement. You can add or subtract lines from this sample, but make sure not to exceed one page. Keep the date, salutations, and addresses on the left hand side of the page. I hereby put forward my resignation as Customer Relationship Manager, effective March 14, 2013. My last day of service with the company shall be on March 28, 2013. I cannot express thanks enough for all that I have learned under your guidance and all the opportunities you have munificently bestowed upon me during the last five years with the company. My role as a CRM helped me to grow professional and personally. I will always remember this company with strong fondness, contentment and pride at our accomplishments. I would not have secured this better opportunity without my experiences at ABC Private Limited. If I can assist during the transition period, I will be more than happy to do so. I am ready to train the new appointee during the notice period. Thank you so very much once again and I wish the ABC Private Limited a very bright future and continued progress. This has been a long ride and I am sure that these were one of my best years in my career. Sample of Resignation Letter from Teaching Job Resignation letters are typically the same regardless of which job you are resigning from.